Viknesh Vijayenthiran September 21, 2012 Comment Now! 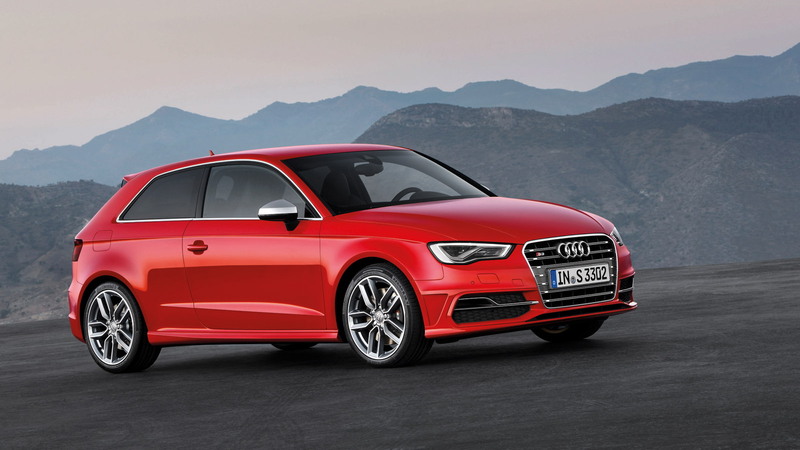 Audi’s latest-generation S3 has finally been revealed, with the initial three-door hatchback bodystyle so far the only version Audi has announced. 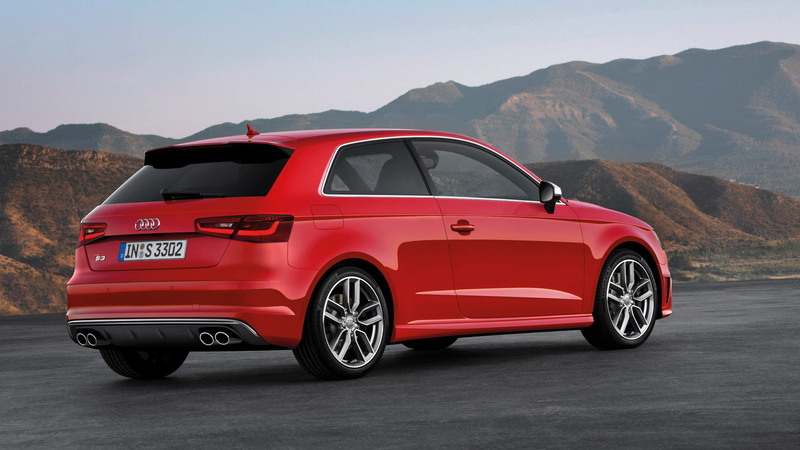 The German automaker has decided not to bring its new A3 Hatchback to the U.S., so it’s likely this S3 Hatchback won’t be coming either. 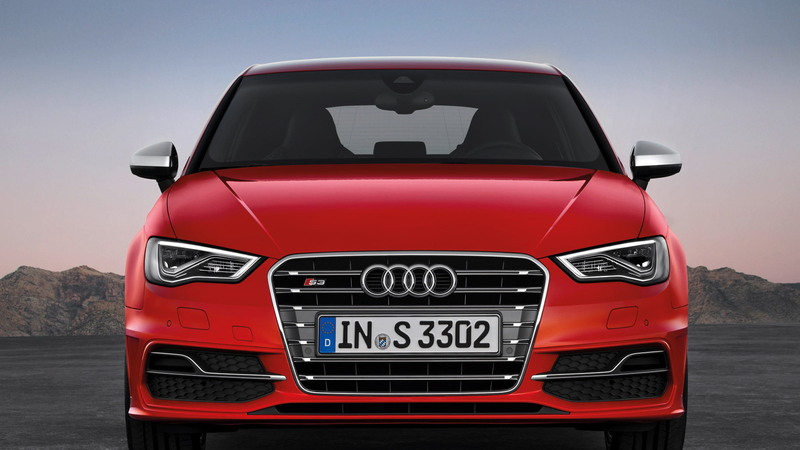 Instead, we’ll get a new A3 Sedan sometime soon, and with any luck a new S3 Sedan will also be offered. 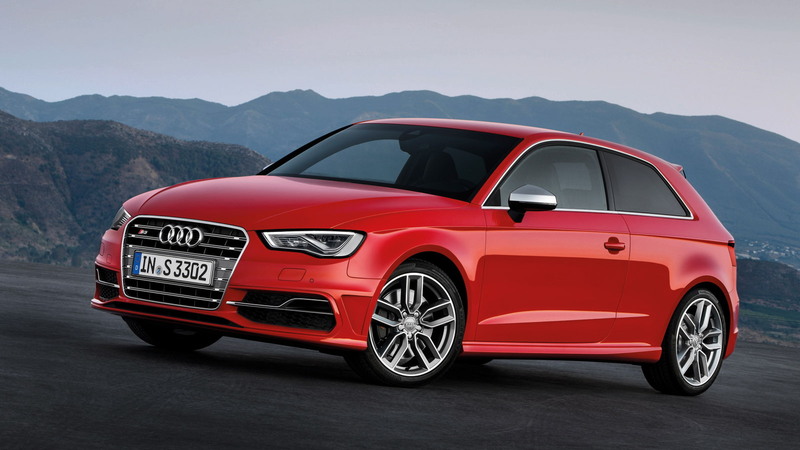 So what does the S3 offer over its more mundane cousin. For starters, S3 buyers get a 2.0-liter TFSI turbo four delivering 296 horsepower and 280 pound-feet of torque to all four wheels. This engine is a brand new design for Audi, and it's brilliant. It offers its peak torque from as low as 1,800 revs and maintains this all the way up to 5,500 rpm. This is about the same revs where peak power is delivered, and then the engine will happily rev all the way up to 6,800 rpm. It also features many features not normally found in four-cylinder engines. For instance, it comes with two balance shafts rotating at twice the speed of the crankshaft for improved smoothness, port as well as direct-injection depending on load, aluminum-silicon construction, and an exhaust valve that opens up to really let the sound out when gunning it. Matched to an S tronic seven-speed dual-clutch transmission, the engine will accelerate the latest S3 from 0-60 mph in just 5.1 seconds and see it easily reach an electronically limited top speed of 155 mph. Despite its performance prowess, the engine can also return a fuel economy of up to 34 mpg on the European combined cycle. A six-speed manual is standard, and is a few tenths of a second off the pace of the S tronic when accelerating to 60. For the chassis, there are MacPherson struts up front, a four-link setup in the rear, chunky stabilizer bars at both ends, electric power steering, and a 25-millimeter lower ride height than the regular A3. A set of 18-inch alloy wheels are standard and house vented steel brake discs. Note, the parking brake is electronic. An Audi drive select feature, which comes standard on the S3, lets you play around with a number of the settings such as the throttle response, power steering assistance, shift points for the S tronic dual-clutch, and available magnetic dampers. Total weight of the vehicle comes in at 3,075 pounds, which is around 132 pounds less than the outgoing model. This is thanks mostly to more aluminum used in its construction than the previous car. Overall dimensions are a length of 14 feet, a width of 5.8 feet, a height of 4.7 feet and a wheelbase stretching 8.5 feet. Inside, you’ll find Audi’s usual clean Germanic style plus sports seats, round air vents, clear and intuitive controls, and storage capacity of up to 39 cubic-feet when the rear seats are folded. The instrument dials are gray, the needles white, and the steering wheel with a flat bottom. Another S-specific feature can be found on the tachometer, which now includes a boost pressure indicator. On the outside, you’ll find an S-specific single-frame grille, aluminum-look side mirror housing, an integrated rear diffuser, roof spoiler and four oval tailpipes finished in chrome. The final touch are a couple S badges adorning the rear and grille. 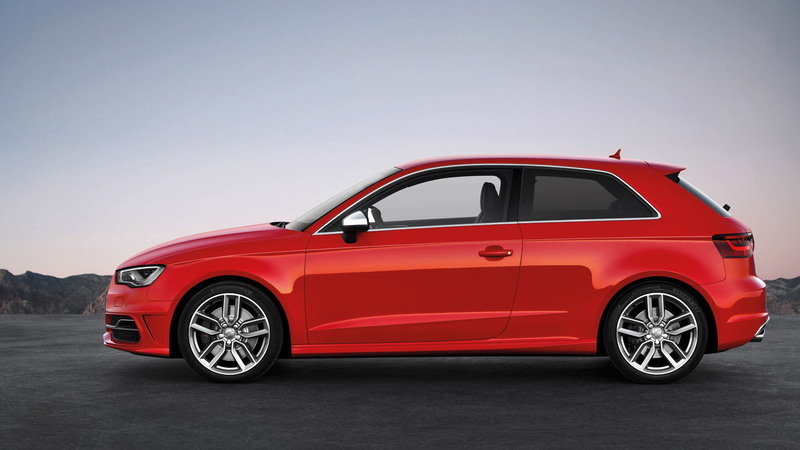 The new Audi S3 will make its official debut next week at the 2012 Paris Auto Show alongside a new A3 Sportback, another model that the U.S. won’t be getting. Both vehicles hit the European market early in the new year.